With the increasing popularity of tablet devices Benchmark wanted a modern site which was responsive so that their site would look professional no matter what platform it was viewed on.They had a clear vision of what they wanted, and after a few meetings we came up with a concept to hit all the company’s requirements. Here at Benchmark we strive to give our clients the best service possible so we needed a new website that was not just attractive but professional and user friendly for all types of our clients. We contacted Russ at Function28, he came up with great ideas and designs that really stood out from other companies. Russ stayed in contact every day until the website was complete answering any questions quickly and efficiently. 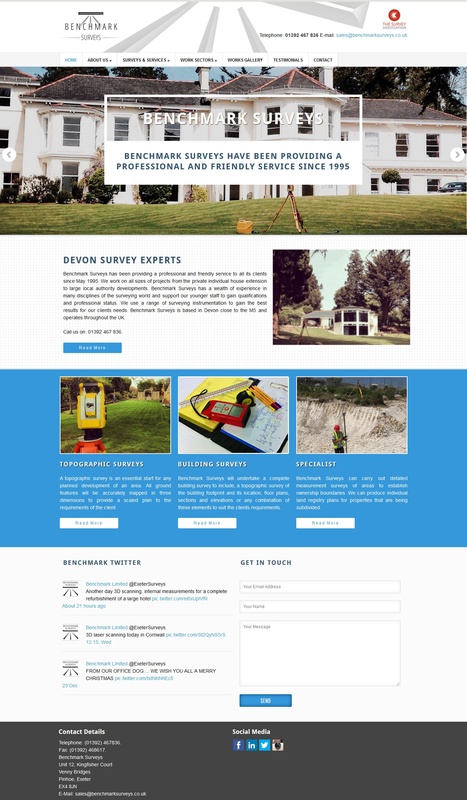 The website looks great and we are proud to have it represent our business, we would recommend Function28 to anyone that needs a professional and friendly service with outstanding results.